Refrigiwear Sweatshirts Are Suitable For A Variety Of Work And Recreation Environments To Provide Extra Warmth In Cold Temperatures. Refrigiwear Sweatshirts are made of a 310g cotton/polyester fleece outer shell and thermal knit lining for warmth and long lasting durability. Used for use by active people in cold temperatures. 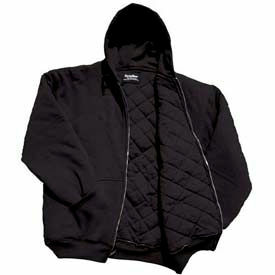 Large front pockets provide double layer warmth and storage. Zip closure allows for easy wearing and removal. available in sizes S-5L. Colors are Black, Black/Gray, Gray and Navy. 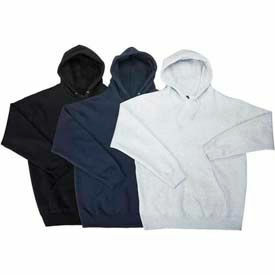 Insulated Sweatshirts Are Used For Additional Warmth At Cold Temperature Worksites. Insulated Sweatshirts are made of a 310g cotton/polyester fleece outer shell, 6oz quilted polyester fiberfill insulation and 110g jersey lining for triple layer warmth and long lasting durability. Zip closure style and large front pockets. Shrink resistant fabric. Comfort Rating is 15°F. Available sizes are S, M, L, XL, 2XL, 3XL, 4XL and 5XL. Colors are Black, Lime and Navy.